Whether or not the U.S. Congress decides to lift the ban on crude exports will largely depend on the trajectory of crude oil prices. 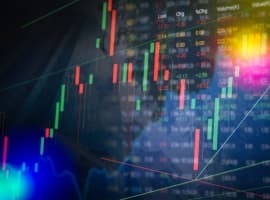 Oil prices have been elevated for several years, with West Texas Intermediate (WTI) fluctuating a bit above and below the $100 per barrel mark, and Brent prices going for a few dollars more. These prices give Congress pause, with many members worried that allowing oil exports to move forward would lead to even higher prices, pressing the limits of what the American consumer would be willing to tolerate. The crude export ban has been in place since the 1970’s and was originally enacted to fight high prices caused by the Arab oil embargo. The localized glut of oil experienced in various parts of the United States – largely because of a mismatch between production and infrastructure in certain areas – has contributed to the spread between WTI and Brent. This has created a division within the usually unified oil and gas sector, with producers aggressively calling for scrapping the ban and refiners supporting the status quo. Senate Energy and Natural Resources Chairman Mary Landrieu (D-LA) and ranking Republican member Lisa Murkowski (R-AK) recently called on the Energy Information Administration (EIA) to conduct a detailed study of the effects of crude oil exports. “This is a complex puzzle that is best solved with dynamic and ongoing analysis of the full picture, rather than a static study of a snapshot in time,” they wrote in an April 11 letter to EIA Administrator Adam Sieminski. Both senators support a lifting of the ban. Senators Ron Wyden (D-OR) and Maria Cantwell (D-WA), both of whom are more skeptical of allowing exports to move forward, also want the EIA to study the issue, but with a focus on the impact on gasoline prices. The issue has become a prominent one on Capitol Hill as a wave of lobbying pushes the issue to the top of the Congressional agenda. At the same time, the ongoing crisis in Ukraine has given ammunition to export supporters. But selling the American people on the idea will not be easy. There are few issues that incite the ire of voters more than a quick spike in gasoline prices, and the link between “shipping oil overseas” and higher prices could be an obvious connection in voters’ minds. While producers would rather talk about “job creation” and higher export earnings, scrapping the export ban would almost necessarily result in higher prices – that’s why there is a price differential between the two benchmarks in the first place. 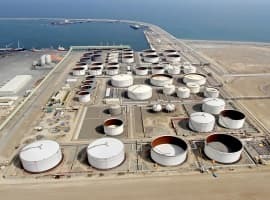 As the Wall Street Journal points out, refiners are ramping up exports of petroleum products from the Gulf of Mexico, and gasoline prices could climb as inventories drop. The completion of the southern leg of the Keystone XL pipeline reduced the glut of oil in Cushing, Oklahoma, and refiners are using the oil to export refined products at an unprecedented level. 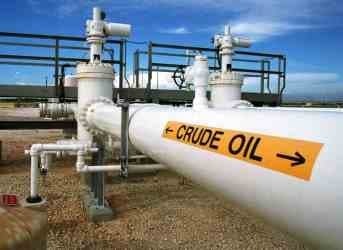 Exports of refined products jumped by 10% in 2013 from a year earlier. With greater access to global consumers, oil futures have risen by 6.1% so far this year. In other words, more exports mean more demand, which could lead to higher prices at the pump. Liberalizing energy exports may or may not be good energy/economic/trade policy, but either way, it will be a political hot potato as consumers feel the bite. This is why, despite the momentum export proponents have built in recent months, scrapping the export ban may not come anytime soon. In a recent report, Bank of America doesn’t see the ban being removed anytime soon. “A full repeal of the crude oil export ban is at least five years away under most scenarios,” Francisco Blanch, the New York-based head of commodities research, said in the report. The only way that the move could be become more palatable for Congress, according to BofA, would be if crude prices dropped significantly. 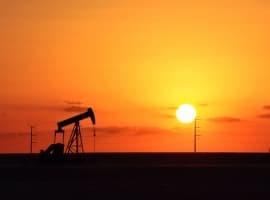 This would provide some political room to lift the ban since consumers would not feel the impact as much, and drillers would be even more desperate to find new markets for excess oil. A collapse in oil prices is not entirely out of the question, with a surge in supplies coming from Iraq, Libya, and the United States. But, until that happens, getting Congress to lift the ban on crude oil exports is unlikely.